Other than being one of the most famous stars in the world, George Clooney is one of the busiest, turning out several movies every year. He is also one of the most successful ones, gaining an Oscar nomination in the directing category and winning one for acting. Remarkably, he also finds time to save the world, championing political and social causes such as Darfur and South Sudan. In fact, he has just arrived from a one-day trip to China, where he was raising funds for a satellite to monitor the Sudanese troops’ activities in Darfur. But what truly distinguishes George Clooney from other stars is his infinite charm, razor wit and seductive affability. Meeting him, you forget that you are in the company of one of the hottest superstars in Hollywood as he wraps you with his indelible smile and genuine attention. Indeed, while other stars struggle to deal with their fame, Clooney has deftly managed it with ease and conviviality, and utilised it to serve the voiceless sufferers of the world. Raised by socially aware parents during the upsurge of the civil right movement, the anti-war movement and women’s rights movement, the Kentucky-born actor has been always socially involved, so it was natural for him to seize upon the power of his fame to make a difference on a grand scale. But Clooney insists that his initial goal, when he drove to LA in in his rusty car in 1982 with money saved up from cutting tobacco, was merely to try acting. “I just thought it seemed like something that was fun and challenging. I didn’t know whether I would succeed at it, and I didn’t for quite some time, “ he reflects, smiling. “I got to do a lot of terrible TV shows and be really terrible in them. Luckily nobody really saw it so I got to learn how to screw up and deal with that in some sense,” he laughs. Instead of limiting himself to playing in big Hollywood movies that would ensure the inflation of his fortune, the socially-conscious activist gradually veered his attention to working in risky movies that “dealt with social issues but were good entertainment,” such as Syriana, and Michael Clayton, and later embarked on a directing career, making political movies such as Good Night, and Good Luck in 2005 and the Ides of March this year. “I look for storyline and then I look to make it entertaining. I believe you can do both,” he enthuses. In Ides of March, Clooney plays a Democratic presidential candidate, who has to make moral compromises in order to win the primaries. Clooney says that as a film maker, he doesn’t have to make such compromises and hence the idea of becoming a politician has never appealed to him. But making substance movies, which Hollywood studios often deem a risky investment, is an arduous task. Clooney had to go to Foreign Film Markets to pre sell his movies to international buyers in order to finance them. He made Good Night and Good Luck for $7 million and the Ides of March for $12 million – a meagre amount compared with studio productions. Due to the limited budget of his projects, Clooney arrives on set meticulously prepared, shoots during the day and edits during the night. 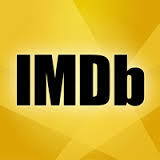 In fact, the shoot of the Ides of the March came in a million dollars under budget and three days early. Upon completing a film, Clooney tours festivals around the world promoting it. He attends every screening and party in order to spread the word and charm studios into buying his movies and audiences into watching them. In spite of the travails of making his movies, the 50-year-old is not tempted to retreat into the comfort of the acting vocation. “I’ve really been doing the acting part of my career for a long time,” he says. “I’m really interested in writing and directing. I’ve had some success at it and I like it. I have things that I want to say and things that I want to do, and it’s infinitely more creative than just acting. Nonetheless, Clooney wouldn’t miss an opportunity to play parts when they’re right. So when director Alexander Payne offered him the lead role, Matt King, in his new movie The Descendants last year, Clooney instantly obliged. “I really wanted to do a film with Alexander Payne. I love him and he’s a great guy and one of my favourite film makers of all time,” Clooney enthuses. Set in Hawaii, The Descendants follows real estate lawyer Matt King as he tries to reconnect with his mischievous daughters, whom he has neglected for years, after his cheating wife suffers a boat accident and falls into a coma. The famously devout bachelor, who’s eschewed marriage since failing previously as husband, was not deterred by the challenge of playing a family man and delivers a convincing performance. In spite of being one of the busiest stars in Hollywood, Clooney is also the most visible. Exuding cheerfulness and happiness, he is invariably accompanied by a gorgeous lady. But behind this veneer of perfection, there is a restless soul anguished by doubts and fears, like the rest of us. “Being in the world that I live in and working in an art form, you have to constantly be changing and asking different questions and questioning yourself and questioning everybody around you and wondering if you’re doing what you should be doing in life. Suddenly, this solemn statement impregnates the room with a intense silence. Clooney senses it and promptly punctures it with his sword of blithesome charm. “Now I got you depressed,” he laughs, triumphantly.